Bianca Goddard employs her knowledge of herbs and medicinal plants to concoct remedies for the disease-riddled poor in London’s squalid Southwark slum. But when her friend Jolyn comes to her complaining of severe stomach pains, Bianca’s prescription seems to kill her on the spot. Recovering from her shock, Bianca suspects Jolyn may have been poisoned beforecoming to her—but the local constable is not so easily convinced. Fantastic book great read will try and find more books by this author.Find more books in this series. Good read. Very enjoyable. I I got a realistic view of what life was like. No plot holes which I appreciate. 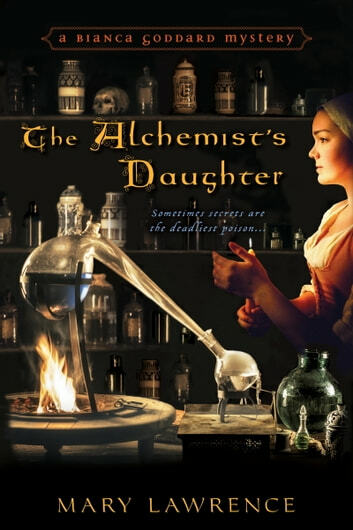 I enjoyed the book since I was looking for a story about alchemy. Not exactly what I was looking for but a different portray of the life. Thanks.